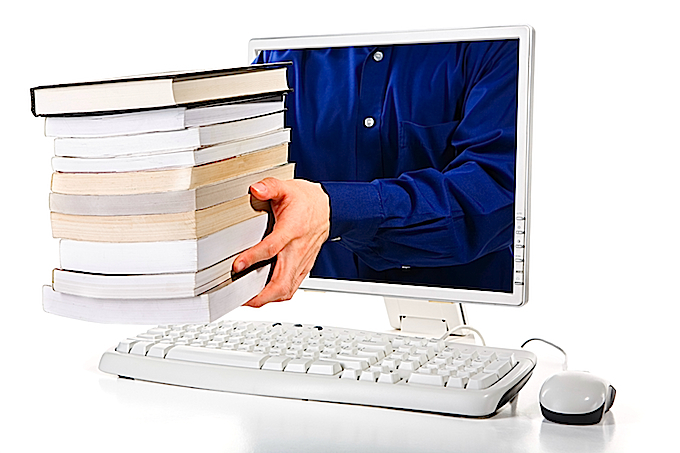 Nobody really knows how much influence book bloggers have in the publishing world. It's not nothing, but how much exactly is indeterminable. On a more micro scale, though, influence is often easier to tell — and more satisfying. For instance, last week, I got an email from a friend who said she'd gotten a lot of great ideas for books from reading this blog. I didn't even know she read the blog. It made my freakin' day. But it also made me think about all the books I've read before this blog that I greatly enjoyed, and that others might too. So, here's a top 5 pre-New Dork Review of Books list. 1) The Emperor's Children, by Claire Messud — I read this book in October, 2006, and when I finished I wrote "This may have been the best book I’ve read this year – complex, literary, funny, fast-moving, beautifully written and just generally a joy to read." It's about three young New Yorkers struggling to find their way just prior to 9/11. It didn't get many great reviews (it only averages 2.5 stars among 266 reviews on Amazon), which is absurd to me, because I agree with the blurber who called Messud a "writer of near-miraculous perfection." Sometimes it's fun that you like something everyone else hated, right? 2. Zeitoun & What Is The What, by David Eggers — Zeitoun is the most rage-inducing book I think I've ever read. Told in sparse, unadorned prose, the tale of a Syrian immigrant mistreated in the wake of Hurricane Katrina spotlights how wrong things can go when common sense fails. It's simply brilliant. What Is The What is Eggers' story about a Sudanese refugee named Valentino Achak Deng escaping the country's civil war. It's based on a real person, but tells the collective story of the Sudanese "Lost Boys" who come to American and try to remake their lives. Eggers is one of my all-time favorite writers. 3. Beautiful Children, by Charles Bock — I'm going deep cut here. This is a great story (which I read in February, 2008 before a trip to Vegas) of the Las Vegas tourists or conventioneers never see. But it's also the story of failed marriages and flawed characters. The characters' stories are told separately, but all intersect in surprising ways. As interesting as these stories are, Bock is at his best when he's simply describing the absurdity of Las Vegas — his hometown. This is the debut novel by a writer I can't to wait to read more of. 4. The Secret History, by Donna Tartt — This novel, which I read in December 2003, absolutely blew me away. I wrote: "These were some of the most vivid, graphic, intense scenes I have read in any literature." The story's about a group of New England college students and a secret society. This is one of the very few novels I've actually ever stayed up until dawn to finish. 5. Netherland, by Joseph O'Neill — I finished this book in March 2009, and wrote that O'Neill's style reminded me of an Irish Philip Roth. I'm still not 100 percent sure I "got" this novel, but I know I really liked it. The story itself revolves around a Dutch immigrant trying to start a cricket league in New York City post-9/11 as his marriage unravels. It's a novel about safety and fear, about the immigrant experience in American, and about how easy it is to lose your moral compass. It's not beach reading, exactly, but very, very good. Do you have novels like these mentally queued up when friends ask you for recommendations? But this NY Times article provides some great analysis on what really led to Borders' collapse. And it's kind of infuriating, in that strange way you can be infuriated about something you didn't care about much until you found out there was blatant stupidity involved. They had no cohesive e-book strategy when even your 80-year-old grandmother could tell how hot the e-book trend would be? They didn't have their own e-commerce site until 2008? (seriously?!) And now they're stiffing publishers on books shipped during the holiday season. As David Foster Wallace would say, what a f$#@ing mess. Frankly, it's amazing they lasted as long as they did. What's particularly interesting about the supposed-to-be-objective NY Times article is its tone: almost an exasperated frustration, no doubt mirroring the sentiments of many Borders employees, customers, publishers and creditors. So the company will continue to do business, but will close about 200 of its about 650 bookstores (here's the list of closures, many of which are having liquidation sales this weekend, if you're interested in some cheap books), including several here in the Chicago area. As mostly a B&N and independent bookstore man myself, I didn't really follow the story at all until the actual announcement earlier this week. But now I learn that the store near me that hosted some great author events (including Joshua Ferris and Jonathan Tropper) is on the chopping block. That makes me sad. I suppose that if there's anything positive to come from this, it's that it will serve as a cautionary tale on how not to run a book business. In addition, maybe independent bookstores operating in the same neighborhoods as closed Borders stores will see better sales. (The NY Times piece points out that Borders' overexpansion in the 1980s and '90s killed many independent bookstores. Talk about a long overdue comeuppance!) Maybe this will be a signal to other booksellers to circle the wagons and get creative about how to stay afloat. And, a final positive is this tweet from Jimmy Fallon: "Borders filed for bankruptcy & will close 200 stores. When Sarah Palin heard, she was like 'Finally, we’re closing the borders!'" What do you think? 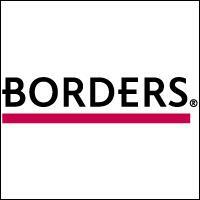 Sad/angry/frustrated about Borders' bankruptcy? Don't care? Think the company will eventually bounce back? There are no two ways about it, The Girl Who Played With Fire is a rather uneven thriller. I slept-read through most of the rather dull first 400 pages and was dreading having to write a blisteringly negative (though likely viewed by most readers as contrarian) review on my iMac G5 with 4 GBs of RAM and a 320 GB hard drive. But then everything changed. The turning point for me is the scene in which famous Swedish boxer Paolo Roberto tries to rescue Lisbeth's friend Miriam from the giant blond villain who's right out of James Bond. The reason this particular scene slapped me out of my malaise is simple: It's friggin' hilarious! Paolo sneaks up on the giant, who turns and immediately recognizes him as a celebrity. "You're Paolo Roberto," he says. The absurdity! Not sure why it struck me so funny, but I couldn't stop giggling. It's probably not coincidental, then, that after that, I was all-in, and Stieg really steps on the gas. As Lisbeth's past secrets are revealed, and the action burns faster, it's tough to put this sucker down. The last third does't quite redeem the first two-thirds, but it's still a fun book. And there's a bit of a cliffhanger at the end to ensure you'll pick up The Girl Who Kicked The Hornet's Nest to find out what happens next. I didn't think this one was as good as The Girl With The Dragon Tattoo in terms of intrigue, but once you wade through the needed-to-be-edited-and-probably-would-have-had-Steig-not-died parts, finding out about what's made Lisbeth Lisbeth is really interesting. What'd you think? Better or worse than Dragon Tattoo? Bored as I was for most of the novel? A terrorist has snuck a nuclear bomb into the U.S. and plans to detonate it in Washington D.C. during Memorial Day weekend. Super CIA agent Mitch Rapp will risk everything to stop him. Dum dum dummmmm. That's the basic plot of Memorial Day, one of thrillerist Vince Flynn's popular Mitch Rapp series. Last year, I read the first five books in the ten-book (and counting) series when I was traveling and at other times I wanted to read without being consciously aware that I was reading. They're not bad, I suppose — I mean, they deliver what they promise: they're mindless and silly, but they're better than squinting furiously at the plane's 10" screen to catch the latest Zac Efron vehicle. The false drama doesn't totally destroy the reading experience, but it sure lessens it a bit. Less cynical readers might be thinking, "Well, Greg, you know what you're signing up for with these thrillers, and if you can't accept that the evil-doers' plot has a chance, then why read them?" My response: I guess I'd hoped that the author is able to create conflict with a touch more nuance and a little less transparency. What we have in these cases is basically a false choice: Either the world is destroyed or it's not, or either the main character on which a trilogy is built will be spending the rest of her natural life in Swedish prison, or she won't. And it's pretty easy to work out the answer. Please understand an important distinction. My issue here is not that the plot is preposterous or not believable, or that I'm talking about a mystery that's too easy to solve from clues in the text. Sure, Lisbeth could be guilty of the murders and, sure, God forbid, a terrorist could get a hold of a bomb and blow up a city. My issue is that we know the plot is preposterous in the context of what we know from external circumstances, i.e. more novels in a series. I suppose it could be argued that when these novels were first published, readers may not have known there would be future novels with the same characters, so the drama is real. And maybe that's true for some readers, and as a result, they read these books on the edge of their friggin' seats. But I suspect most readers were aware that these weren't isolated books. At least I'd hope so. So what do you think? Have you run across novels in which you lost interest because of this false drama? Why was the drama false? It's been said that the most notable characteristic of America's "most beloved epic novel" is its larger than life, yet deeply flawed characters. 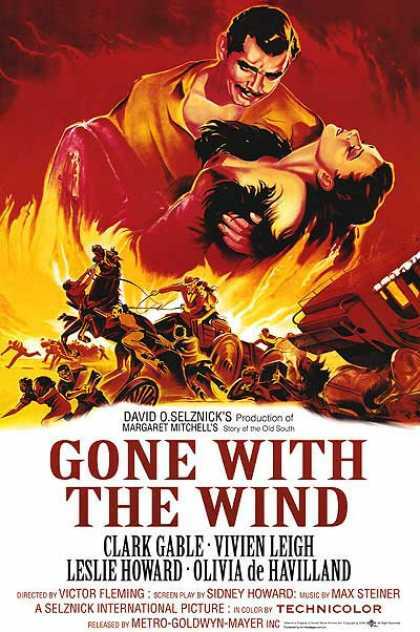 There's no question about it — these characters, Rhett, Scarlett, Melanie, and Ashley, some of the most famous in all of literature — are as variegated, as alternatingly despicable-and-sympathetic, and as purely human as any characters you might ever stumble across on the fictional landscape. Kudos, Mags! Too bad you got hit by that car, and couldn't tell us what happens next. Scarlett is the easiest to talk about in the context of the fatal flaw, because she's quite flawed — she's manipulative, selfish and harsh. But none of those are fatal. What's fatal for her is that she believes that her manipulation, selfishness and harshness are enough for her to overcome any obstacle. And they're not. With Rhett, she meets her match. Scarlett does have fine many qualities. She has a stern sense of tradition, and she's willing to to do what is required. She also is a strong, willful woman, not something that was easy or generally accepted in that society. But those qualities are often overshadowed by her negative ones. For instance, she may be strong and willful, but she's only willing to combat cultural norms when it serves her need to do so. Otherwise, as in the case of her treatment of ex-slaves, she doesn't care. She's by no means enlightened. Even marrying Frank to save Tara isn't altruistic, because it's to her benefit. And she manipulated poor Frank at the expensive of his happiness and her sister Suellen's. You've heard the "women love him, men would love to be him" idea, right? That's Rhett. In fact, Rhett is the only character whose side I was on from beginning to end. He's the archetype of manliness (how many times does Mitchell describe his mat of black chest hair and hard muscles?). So it's a bit ironic that Rhett's fatal flaw is love. It's only when he sacrifices his independence and aloofness to marry Scarlett and then to dote upon his daughter Bonnie, that he begins to unravel. All his life, he'd shunned normal ways of behaving, and been wildly successful. But the minute he returns to earth, so to speak, he's overwhelmed by the same problems the rest of the mere mortals face. And that's what destroys him. He's not equipped to handle it. He goes insane, not wanting to bury his dead daughter. And he falls out of love with Scarlett, realizing she'll never live up to his ideal. Melanie is, as Rhett says, "the only completely kind person I ever knew." That's admirable as hell, but she is also blissfully naive, choosing not to believe that there could ever be any cruelty or harshness in the world. Ultimately and ironically, this doesn't destroy her (her death does), but it aides in the destruction (of the happiness) of all three of the other characters. Her flaw is introduced early in the novel as she misinterprets Scarlett's sadness as mourning for Charles — Melanie's brother who Scarlett married to spite Ashley, after he rejected her. But Melanie's naivety becomes much more central to the novel as Scarlett is constantly maneuvering to keep Ashley near her, and Melanie chooses to believe it's out of loyalty, not for ulterior motives. At one point, Scarlett considers "flinging the truth tauntingly in Melanie's face and seeing the collapse of her fool's paradise." Melanie's naivete, even though it works as a shroud of defense for Scarlett's devotion to Ashley, is so frustrating even to Scarlett, who stands everything to lose by revealing the secret of her love, that she actually contemplates revealing it just to spite Melanie. Fascinating. Ashley, to me, is the least interesting character. He's a milquetoast. No guts. He pretty much packs it in on life after he returns from the war. Mitchell explains at one point that Ashley and Rhett are cut from the same cloth. The difference, though, and it's a big one, is that Ashley's sense of honor and decorum has dissolved his backbone, whereas Rhett isn't worried about such convention. Of course, it is admirable that he is loyal to his wife, resisting the temptation to run away with Scarlett. But he's also too loyal to convention to ever make anything of himself. And it's Melanie's naive loyalty to Scarlett that forces him to go to Atlanta and work in Scarlett's lumber mill, instead of striking out on his own to New York. So now you're wondering if I liked the book? I did. A lot more than I thought I would, in fact. I had a misconception that this was a lovey-dovey, females-only story. It's far from that. I mean, Scarlett and Rhett don't even "fall in love" until about page 800. I was amazed at that. (In fact, the only really sappy part here is that my GF and I read this at the same time so we could discuss. I know, Awwwww.) As a Civil War geek, I loved all the historical detail — of course, everyone knows about Sherman's march to the sea, but I didn't know about the slow advance towards Atlanta with Johnston defending the railroad the whole way. That was fascinating! And, finally, the last lines are haunting: "I'll think of it all tomorrow, at Tara. I can stand it then. Tomorrow, I'll think of some way to get him back. After all, tomorrow is another day." 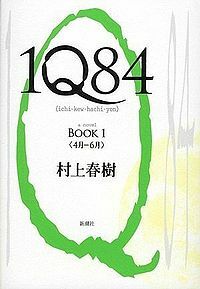 Here's a piece of under-the-radar publishing news from last week: Japanese novelist Huraki Murakami's most recent novel, 1Q84, will be published in English translation this October. The novel appeared in two volumes in April 2009 and May 2010 in Japan, but will be published as a single thousand-page volume in English. And there was much rejoicing. It's been more than four years since his last English-translation novel After Dark came out. As the Guardian puts it, "Harry Potter-style late-night bookshop openings may be pushing it, but such is the passion of Murakami's loyal readers that publication will certainly be an event." And I'm excited too. But here's what's strange. I've never read Murakami. He's the one writer I think for whom my fascination is most disproportionate to the amount of actual time I've spent reading him. I know several people who count The Wind-Up Bird Chronicle among their favorite novels of all time. And people I ask about Murakami, to a person, absolutely rave about Kafka On the Shore. And both of those novels have been on my shelf for years, sadly untouched. Why haven't I read him? I don't know, I honestly don't. It's a riddle as enigmatic as some of Murakami's plots (apparently). Maybe it's something to do with the anticipation being sweeter than the actual anticipated. Maybe it has something to do with my hesitancy toward books in translation. Maybe it's just that I'm an idiot. The LA Times blog, in its announcement about 1Q84 says that Murakami has "an avid following of readers who crave smart and challenging literature." I like smart literature. I like to be challenged. So not having read Murakami seems like a rather glaring omission. So, I need your help, Murakami fans, of which I know there are many. Make the case for HMur. Why should I stop what I'm doing right this second and go grab one of his novels? Which should I start with, as you have my word that I'll read at least one of his novels before 1Q84 is published?